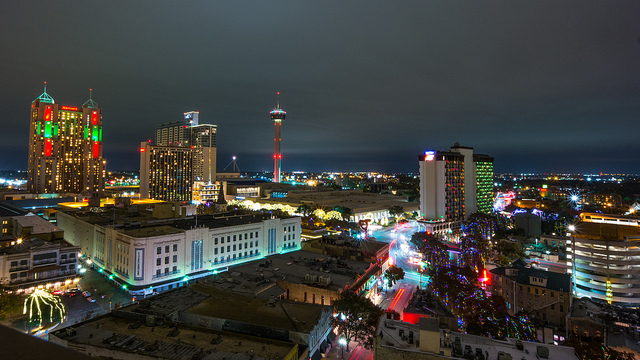 The largest municipally-owned utility in the US, San Antonio’s CPS Energy, is looking to expand its rooftop solar network with a new pilot program, and is developing the city’s first community solar project. Both of these initiatives will allow a greater number of San Antonio residents to go solar without having to make a major financial commitment. It wasn’t that long ago that if you wanted solar panels on your home, you had to be prepared to bear the full cost of the system, which often meant taking out a loan, and that aspect of solar, on top of the relatively high cost of solar (compared to now) kept a lot of people from even considering solar. As the cost of solar came down, the demand for home solar picked up, and along with that cost reduction came a few alternative models from some innovative solar and finance companies, which rolled out solar leasing and PPA models. These programs, many with $0-down incentives, have allowed solar to be within reach of many more people, many of whom are choosing solar because it’s ultimately cheaper in energy costs over the long run, whether the solar array is owned by the homeowner or by a third party. However, even with those alternative solar models, a great number of rooftops are left out of the solar revolution, either because they’re rental units of because the owners don’t qualify, credit-wise, for a solar lease or solar loan. Although CPS has been offering net-metering to its solar customers for some years now, the utility currently only has a little more than 2000 solar rooftop customers in San Antonio, with a total capacity of about 24 MW. The utility also has PPAs with eight solar farms in the area, with a combined capacity of 134 MW, which ranks the city 6th in the country for solar generation capacity, and higher than any other city in Texas. The two new programs from CPS Energy aim to make solar a lot more inclusive in San Antonio, either by homeowners hosting third-party owned solar panels on their roof, or by participating in a “roofless” community solar project. These distributed solar programs can benefit both the local grid by adding capacity, and the residents, through cutting energy costs. The pilot CPS Energy rooftop solar program will essentially allow customers to rent their roof space to solar developers (under the aegis of CPS Energy), who will then install and maintain the home solar array at no cost to the customer. CPS will then contract to buy the solar output of the systems, with customers receiving a credit on their utility bill for the use of the rooftop. The initial program will be capped at 10 MW of additional capacity, or about 2000 customers, and if the program is successful, will be expanded to 25 MW or more. The second program, the Roofless Solar project, will see a 1.2 MW solar farm developed by Clean Energy Collective (CEC), bringing San Antonio its first community solar project. The program will allow any residential, commercial, or nonprofit electric customer within the CPS Energy service area to buy as little as one solar panel in the project, or as many as needed to completely cover their monthly electricity needs, and to then receive a monthly credit for the solar energy production from those panels on their utility bills. The community solar project in San Antonio is expected to be completed by the end of the year. Find out what home solar can do for you today!